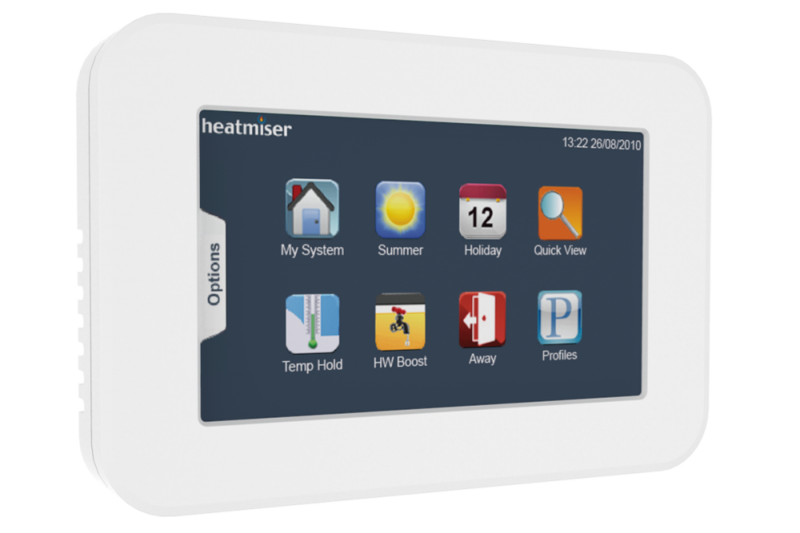 The Heatmiser TouchPad is designed to work with our 12v Network Thermostats, providing central control of your heating & hot water system. Home and Away This feature gives you a simple way of turning off your heating system whilst you are away. On your return, pressing the Home button will re-enable the system. Ideal when you have a holiday home and not sure when you will return. Zone Programming The Heatmiser TouchPad lets you program the comfort levels for each heating zone on the system. Comfort levels can be copied between zones to make programming the heating system even easier. Auto GMT Correction The Auto GMT Correction feature automatically adjusts the clocks in all of thermostats at the start of summer/winter time.